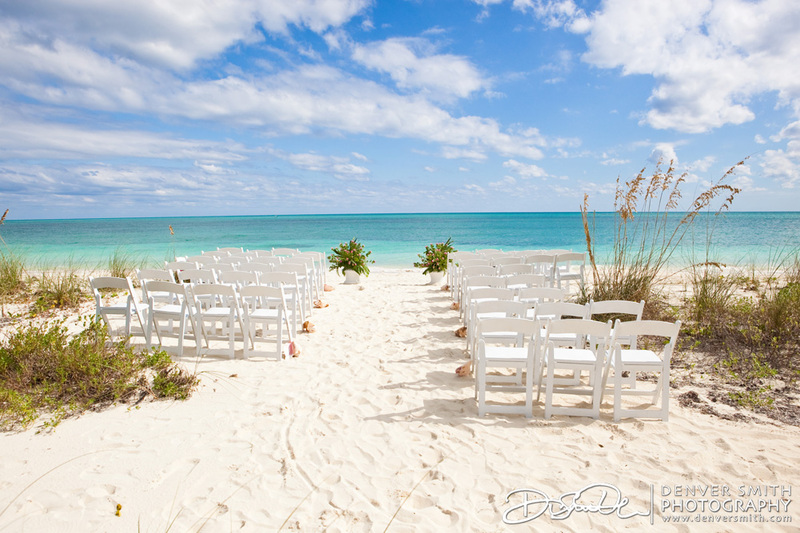 Looking for a Grand Bahamas Wedding Ceremony with a twist? Picture your guests arriving at your private, secluded Bahamas wedding ceremony via a 15-minute whimsical ferry boat ride! Just minutes away by private Wedding Ferry is one of the Caribbean’s most exquisite, white sand beaches. We will arrange for you and your guests to be whisked away to this idyllic setting for an island casual wedding with the magnificent turquoise sea in the background. Your private ferry boat which holds up to 65 guests, pushes up onto the beach, a launch is dropped, guests disembark and are escorted to your ceremony. Strains of the violin or steel pan greet your guests. 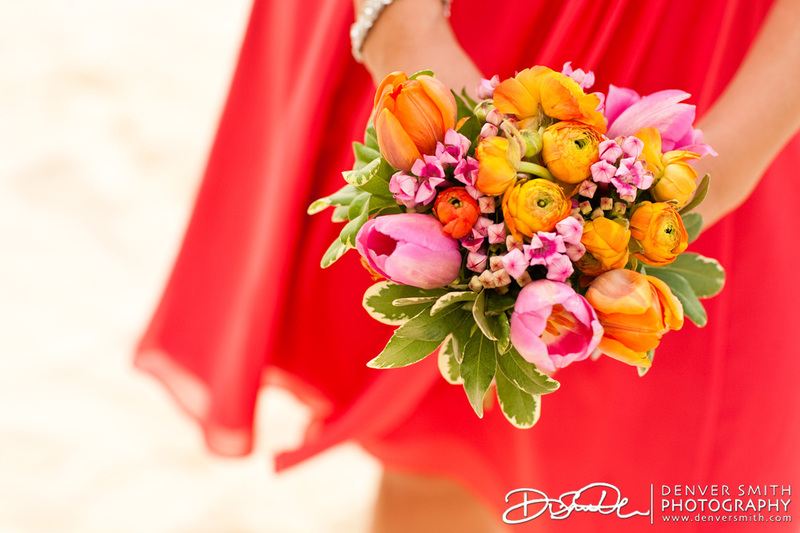 No crowds running through or taking a peek at this setting … so important to all brides. Meanwhile, you, your bridal party and parents travel to the ceremony site via limousine. At the right time, you alight from the limousine, gather your calm and prepare to walk down the aisle to exchange vows … anticipation runs high. Pelican Bay at Lucaya, Grand Bahama Island, is the only wedding hotel offering this unique, one of a kind Beach Bliss Ceremony experience. Pelican Bay’s Beach Bliss Grand Bahamas Wedding Ceremony may be combined with an exclusive reception starting to complete your Bahamas Wedding all-inclusive. 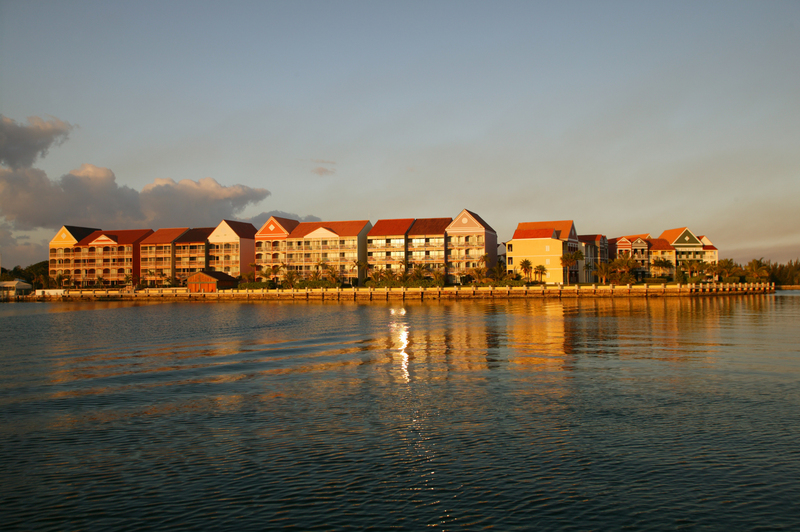 Have your guests leave from this charming Pelican Bay Hotel waterfront location to travel to your Bahamas Wedding Ceremony at a private, secluded beach … no crowds around or running through your ceremony. Wedding guests arriving at wedding ceremony by ferry boat. Powdery white sand beach with conch shell lined aisle. 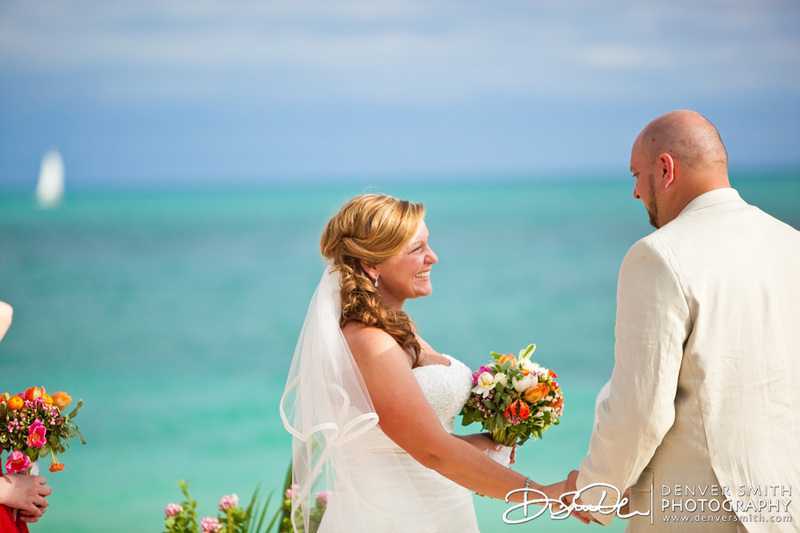 Christy and Mike and exchange vows at their Fall Grand Bahamas Beach Wedding Ceremony. This lovely couple was married three years ago and celebrated their third wedding anniversary October 22. Happy Anniversary, Christy and Mike! Chic Bahamas Weddings, your Bahamas wedding planner who organizes weddings throughout these islands, would love to help you plan your Bahamas Wedding Ceremony and reception. Contact us now to get the ball rolling!